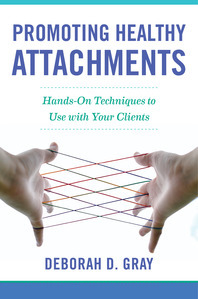 Day-to-day clinical guidance on what to do with all the attachment theory you’ve learned. Attachment theory is very popular in therapy these days. But what do you as a therapist do with all that theory? How can you use it to make the lives of your clients better? This book is a hands-on, practical guide to successful attachment-oriented interventions with parents and children who present with a variety of issues, from trauma to depression to anger. It begins with an understanding of attachment's role in stress regulation and relationships. With the basics examined, the book takes a deep dive into the practicalities of clinical work. The book lays out a detailed behavioral checklist for each attachment pattern (secure, avoidant, ambivalent, disorganized). This checklist provides a rich source of interventions for therapists. The author includes sensory-based interventions and how to use body-based methods. Play that strengthens attachments is also discussed. Children who have attachment issues due to complex trauma, grief, or adoption or custody decisions. The book includes innovate suggestions that range from creating visual treatment plans for children to the scripts or activities within sessions. Parents with attachment problems, including logistics of when to add children and other family members, and what to do in sessions. Highly stressed people. The book provides a practical format for communicating with stressed adults and children, especially those with executive dysfunction. Teens with attachment issues, addressing both connection and independence. People of faith whose attachment figure is God. Overall, the book describes common factors in successful attachment interventions. 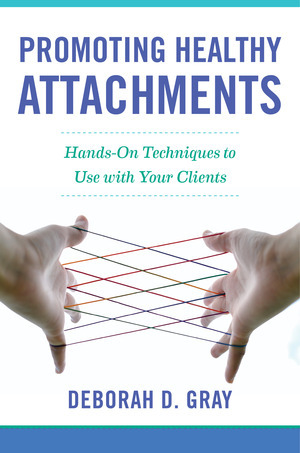 Written by a leading attachment therapist, this book applies decades of experience with clients empathic yet playful tone. It provides therapists with a range of therapy activities to make use of one of the most important mental health theories of the past quarter century. Chock-full of techniques and scripts for clinicians, the approaches here are practical, positive, and easy-to-implement.